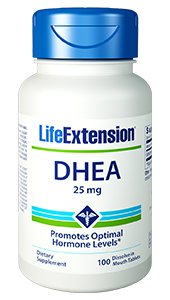 Life Extension DNA Protection Formula helps protect cells and DNA from damage. Curcumin, chlorophyllin and wasabi protects cellular health by inhibiting the formation of free radicals. Watercress and broccoli extracts helps to protect DNA against damage. Support your body’s natural defenses against environmental toxins with Life Extension’s updated DNA Protection Formula, now with XanthoVital® (xanthohumol). Xanthohumol is a hops flavonoid that studies show can help inhibit DNA damage. Our DNA Protection Formula also includes watercress extract, chlorophyllin, and zinc to provide additional DNA protection. Science has documented the ability of certain nutrients to bolster the body’s natural DNA defenses against environmental toxins. 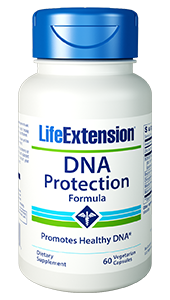 DNA Protection Formula provides nutrients such as xanthohumol, watercress extract, chlorophyllin, and zinc for powerful DNA health support in a single, convenient formula! Compounds inside and outside your body can affect your DNA. Fortunately, there are ways to support your natural defenses against these environmental toxins through nutritional supplementation. We’ve reformulated our original DNA Protection Formula to include XanthoVital® (xanthohumol). Xanthohumol is a flavonoid derived from the hops plant commonly used to brew beer. In clinical and pre-clinical studies, xanthohumol has been shown to help protect DNA from damage, a major part of maintaining healthy cellular function and cell division. Clinical and preclinical studies show that chlorophyllin binds to certain environmental toxins, inhibiting their potential effects on vulnerable DNA and allowing the body to eliminate them before they can enter the bloodstream. 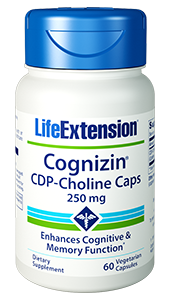 Chlorophyllin also supports your body’s natural defense against toxins binding to DNA and promotes healthy expression of the protective p53 gene, which partially controls cell reproduction. The essential mineral zinc supports a wide range of biochemical and immunological functions, including DNA maintenance. It also helps with cellular antioxidant defense. A study in women found that zinc supplementation inhibited DNA strand breaks, thus stabilizing genetic expression. This formula also includes watercress extract. Watercress is a leafy green vegetable with many potential health benefits. A randomized, crossover study found that this cruciferous vegetable helps protect DNA. Help protect your DNA … with our reformulated DNA Protection Formula! Take one capsule with each heavy meal, or as recommended by a healthcare practitioner. Note: It is a natural characteristic of this product to have yellow speckles due to the granular nature of the turmeric.